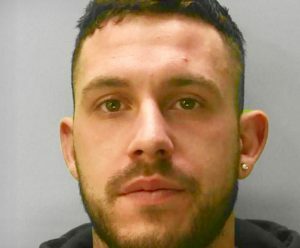 Sussex Police have offered a £500 reward as they step up their search for a wanted man with a history of violent offending. Tre John Bunby, 25, may be in the Brighton, Peacehaven, Seaford or Eastbourne areas, the force said. Bunby, a barber, of Hoddern Avenue, Peacehaven, has been the subject of a previous “wanted” appeal. Sussex Police said: “Police are offering a £500 reward for information leading to the arrest of Tre John Bunby, who is wanted for breaching his bail conditions in relation to a domestic incident. “The 25-year-old has been charged with breaching a non-molestation order in Brighton on (Thursday) 24 January. “He was bailed to attend court on (Wednesday) 13 March with conditions not to contact the complainant. However, he has since breached these conditions and did not appear at court. 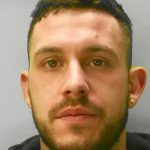 “Bunby, a barber, of Hoddern Avenue, Peacehaven, is believed to frequent the Brighton, Seaford, Peacehaven and Eastbourne areas. “If you see him or know where he is, please report it online or call 101 – or 999 in an emergency – quoting reference 47190013228. Bunby, formerly of South Coast Road, Peacehaven, was given a prison sentence of 23 weeks suspended for two years on Tuesday 8 January at Brighton Magistrates’ Court. He admitted three counts of beating up a woman and assaulting PC Robert Gregory last autumn. The magistrates said that the offences were so serious and violent that they merited a prison sentence and they were not his first offences. They also served a restraining order and told Bunby to attend up to 30 days of “rehabilitation activity”. He was ordered to pay £500 compensation to the woman and £100 to the police officer. He was jailed for 12 weeks earlier in the year – last April – for a violent attack on another woman. The court was told then that he had previous convictions for violence.